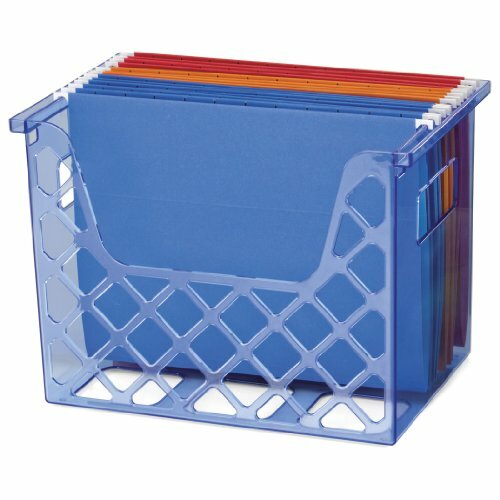 Efficiently store and organize documents on your workspace Durable lightweight plastic construction for long lasting use. Hanging files feature handle grips for ease of use. Keep up to 30 files sorted and organized. Fits letter-sized documents. Bright blue color brightens up any workspace.